Get the Peace of Mind that comes with a Certified Pre-Owned Vehicle. With a Certified Pre-Owned Vehicle, you have more than just a “used” vehicle. You have confidence, pride and a vehicle that you can trust. You’re Certified! Every Chrysler, Dodge, Jeep®, and Ram CPOV can be counted on to go the distance. 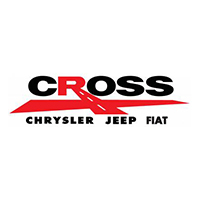 All of Cross Jeep Chrysler Fiat’s CPO vehicles must pass a stringent certification process that guarantees only the finest late model vehicles get certified. Every vehicle that passes is then subjected to a comprehensive 125-point inspection and a thorough reconditioning process using Authentic Mopar® Parts. For even more peace of mind, add the factory-backed 7-Year/100,000-Mile Powertrain Limited Warranty,1 the 3-Month/3,000-Mile Maximum Care Coverage,2 24-Hour Towing and Roadside Assistance,3 Car Rental Allowance,4 CARFAX® Vehicle History Report™ and an introductory 3-month subscription to SiriusXM® Satellite Radio.5 Plus, we offer something you won’t find from any other manufacturer: Lifetime Certified Warranty Upgrades.6 Imagine that … a warranty that will cover your CPOV for as long as you own it!